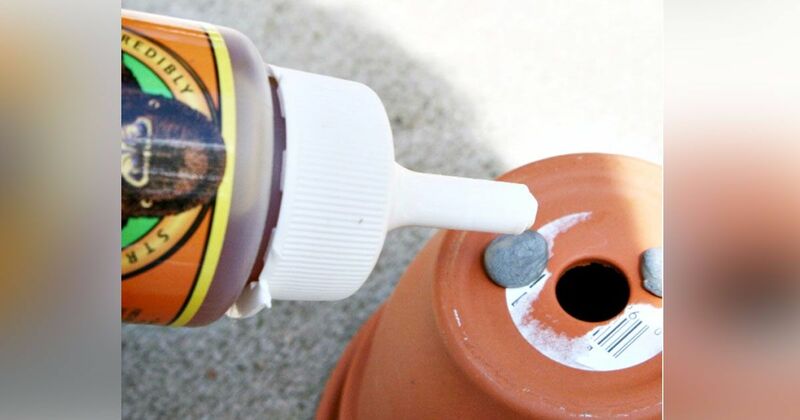 If you're a gardener, you are no stranger to the classic terracotta flower pot. Terracotta pots are perfect for the garden because they are affordable and more sustainable than cheap, plastic pots. However, these garden staples aren't only good for the outdoors. 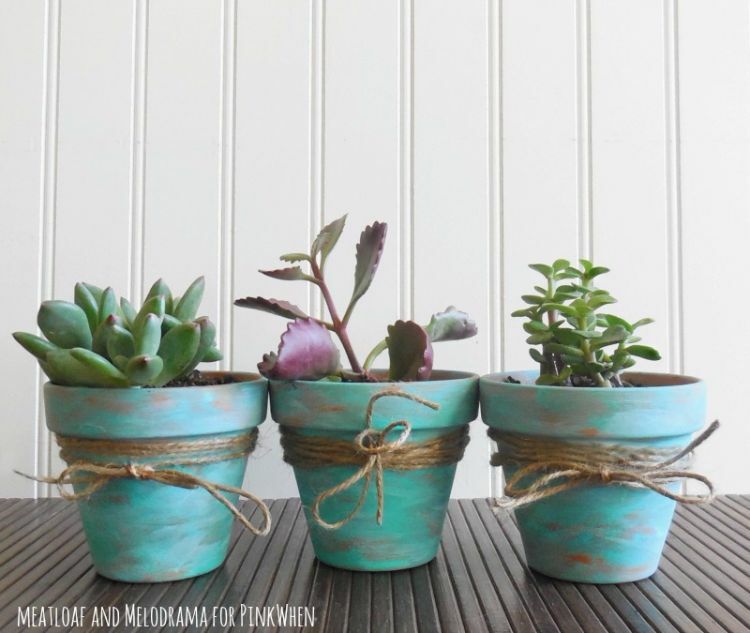 Think twice before you toss out your old clay pots for new ones because these guys can be transformed into a variety of items that are great for both the garden and the home. Try painting them different colors, putting them in different arrangements, or simply using the unaltered pot for something other than plants. Keep reading to see some ideas that will get you started. This adorable candy dish looks just like those you would stick a quarter in as a kid except when you make your own you won't need to feed it money. 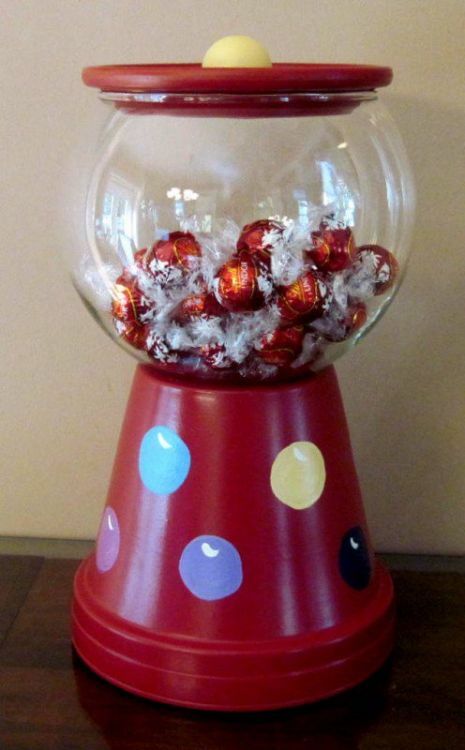 It doesn't only have to hold candy, it could be great for cookies, baking materials, or even a fish tank. 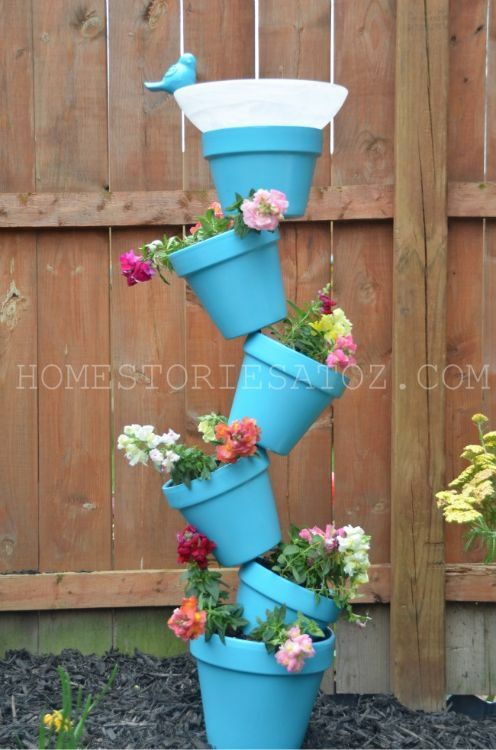 This simple and creative project by The Whoot takes a new spin on using clay pots in the garden. 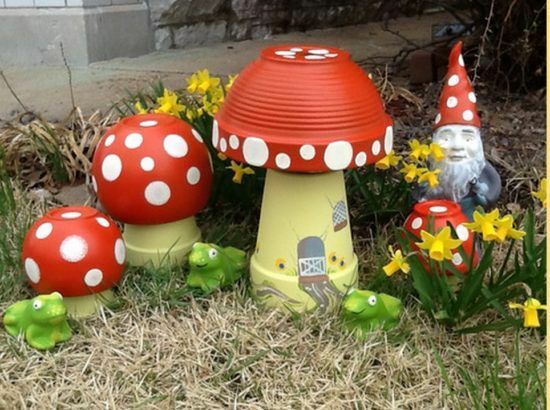 Pots don't simply have to hold plants, they can also accentuate the garden as fun and whimsical decorations. 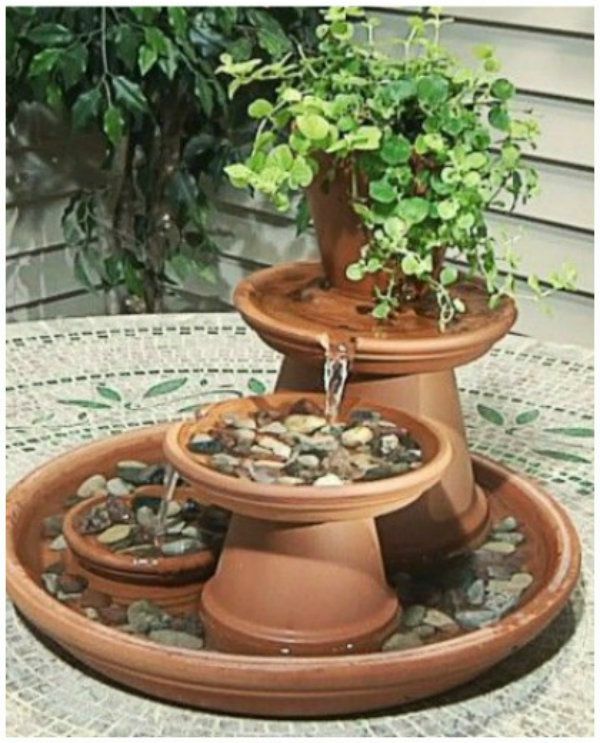 Put multiple pots together and you can craft yourself this stunning terra cotta fountain. This would be so peaceful to sit next to on a sunny day. Grab and book and a cold drink and spend the day out in the backyard. Of course, you don't have to do much to enhance the already lovely terra cotta pot. One could simply paint it a different color like Pink When did with these rustic looking succulent holders. Easy and elegant! 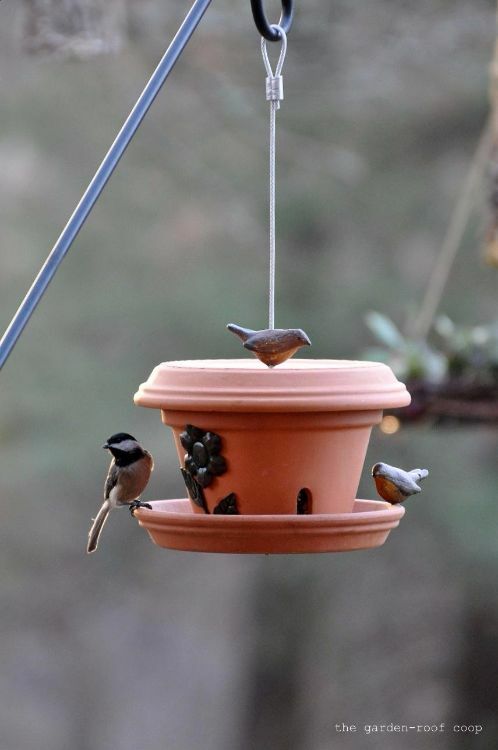 This clay bird feeder would look spectacular next to project #3 on this list. We love the additional floral details that were placed on this one by The Garden Roof Coop. Wow! The time and detail it must have taken to craft this beauty seems well worth it. This project is both decorative and functional and would definitely be the eye-catcher of the garden. Birds are a lovely thing to have hanging out in your garden. 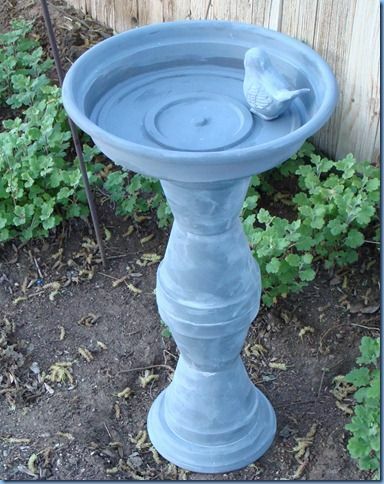 Attract some feathered friends by building this amazing bird bath by Tracy's Trinkets & Treasures. They will love it and you will love watching them. Here is another spin on the bird bath but it also doubles as a tiered planter. 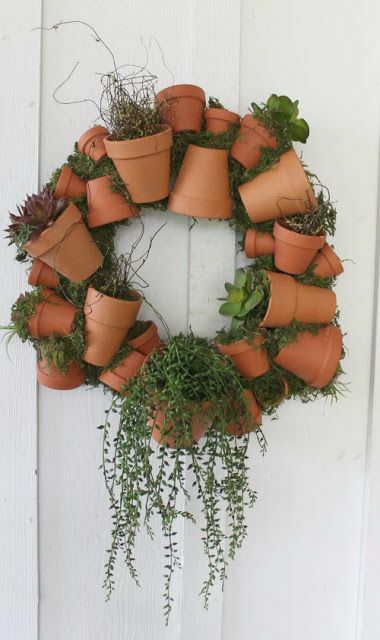 We love how Home Stories at Oz have combined two garden necessities in one. 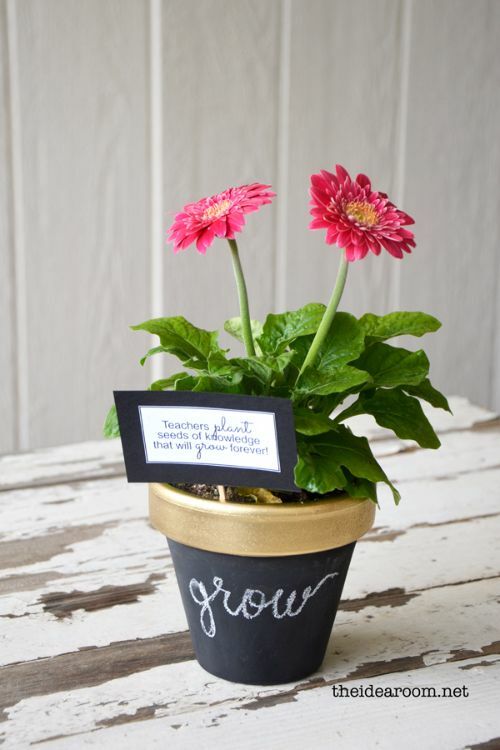 This chalkboard pot by The Idea Room would make the perfect gift for that special teacher in your life. The ideas for what you could draw or write on it are limitless. So far we've seen a lot of ideas for the garden, but here is one for the kitchen. This terracotta cake stand is such a creative way to display your delicious baked goods. Break it out at your next dinner party and see the reactions you get. Spread the good ideas by sharing this list with your friends on Facebook and Pinterest!